Next on The Scoop: TCM’s Halloween Photo Contest is Heating Up! Today’s National Cat Day, and it’s a good opportunity to reflect upon how valued a member of your household your cat is. Especially now, with everyone’s world turned upside down with economic worries, cats are purrfect sources of solace, and can brighten the dreariest of your days. Who doesn’t love a little heavy petting? 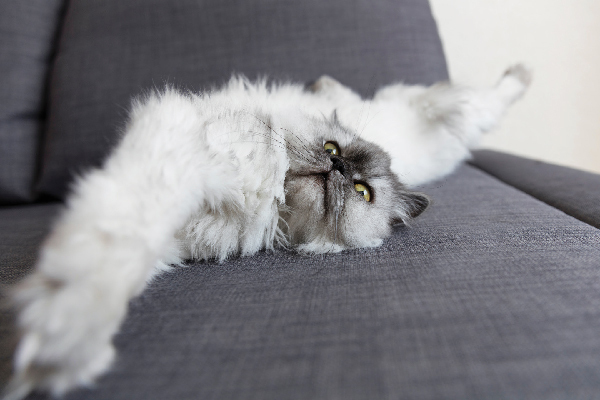 Most cats love the attention, and it might help decrease your blood pressure if done regularly. Grooming: Groom your cat to remove loose hair. This helps reduce hairballs, and makes your cat feel better. Older cats have extra grooming needs because they can’t groom themselves as thoroughly as youngsters. It also gives you the opportunity to feel for lumps, hot spots, ticks, and tender spots. Pawdicure: Give your cat a nail trim. Not trimming your cat’s nails can result in damage to you and your cat. If the nails rival Howard Hughes’ in length, they can get stuck in carpeting or other material, and your cat could pull out the nail to extricate herself. If left long for too long, you can run the risk of the nail curling around and growing into the paw pad. But that’s just my unscientific observation. 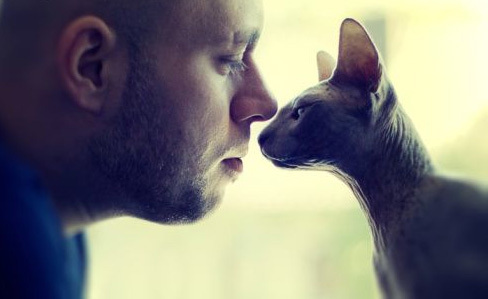 What if, twenty years from now, it is proved that cats understand every single word we say? Wouldn’t you then like to go back and say “I love you” to every cat you ever had? You can start today. You can buy a pre-made kit, or put together your own. 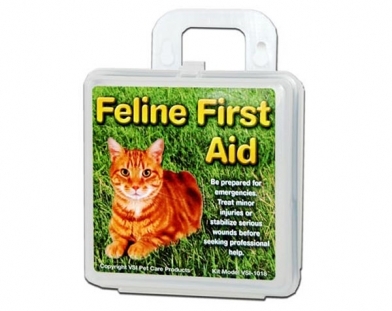 Click here for Pet First Aid books. If she’s already microchipped, take a few minutes to ensure that your contact info is accurate. 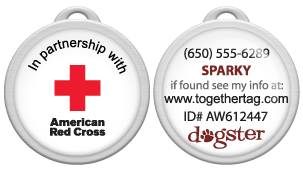 Both tag and microchip work together to ensure that your cat can be returned to you. For more information, check out The Cat’s Meow’s Guide to Pet Recovery. 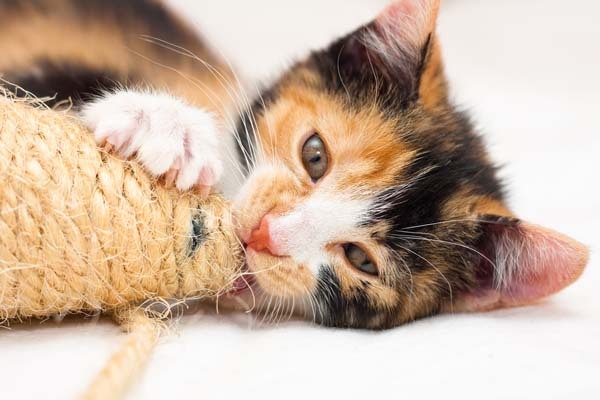 Cats rarely get enough playtime, especially if they’re under five years old. 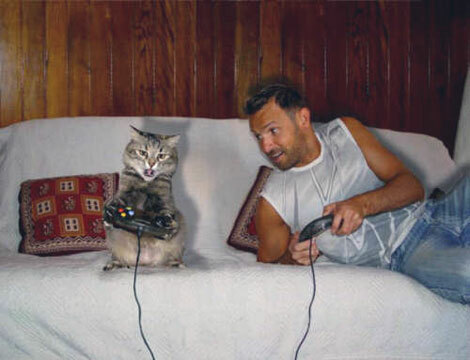 Spend some quality time with your cat and play her favorite game. Then resolve to spend 15 minutes (or more) each day in playtime. 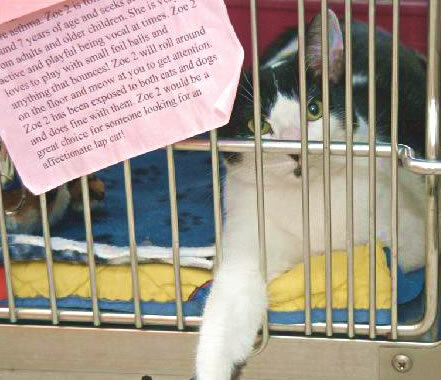 If your cat has a mellow disposition and is a good traveler, consider volunteering for a therapy animal program. 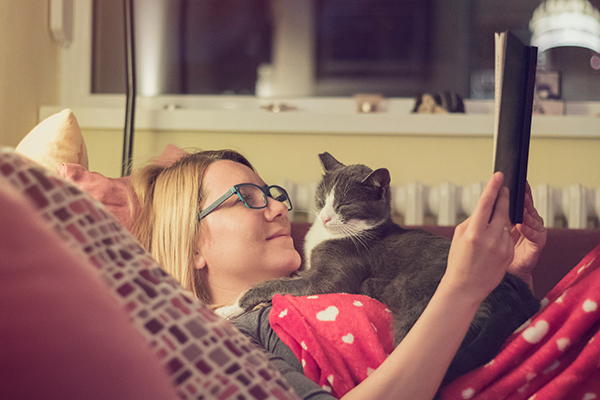 It will give you a chance to spend quality time with your cat, and help out your community. 8] Buy your cat a water fountain. One of the best pet inventions ever. 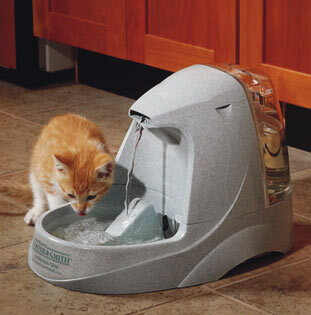 Provides your cat with pure filtered running water 24 hours a day. Most cats LOVE them. Drinkwell has an extensive line, with a model to suit every need. 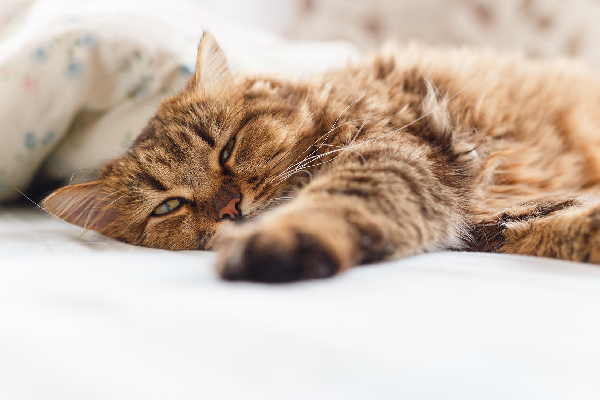 Wash your cat’s bedding (use fragrance-free laundry soap) and empty and scour her litter box. Both off these tasks should be done weekly, but time often slips away from us and before you know it, neither bedding nor litter box has been cleaned for a month. Do both today, and set a weekly reminder. If you have the time and resources to do so (and not many cats to begin with), adopt one of the 4 million cats in local shelters and save her life. Is there anything better you could do for a cat than that? National Cat Day was founded by Pet Lifestyle Expert & Animal Behaviorist, Colleen Paige to help galvanize the public to recognize the number of cats that need to be rescued each year and also to encourage cat lovers to celebrate the cat(s) in their life for the unconditional love and companionship they bestow upon us. Click here to follow National Cat Day on Facebook.